Have you or a loved one been in an Atlanta car accident or a Georgia car accident caused by a teenage driver? You are not alone. The respect of her peers?  Inclusion in the Top 100 Lawyers in Georgia, 2009, top 100 Trial Lawyers in Georgia, Top 50 Woman Lawyers in Georgia, and Georgia SuperLawyers? You’re in the right place. Contact us today. When a beloved family member has died in a car wreck caused by a teenage driver, or has been hurt in a car accident caused by a young driver, the age of the driver is the least important part of what happened. But the fact is that teen drivers are far more likely to be in a car accident, and far more likely to kill someone in a car wreck. According to the Georgia Department of Transportation: “The inexperience and immaturity of younger drivers are thought to be major contributing factors to their high crash fatality rate.” Teen drivers simply lack the skills and experience base that older drivers have. In the midst of a lot of bad news about an auto accident caused by a teenaged driver, the (minimally) good news is that teenage drivers tend to be insured under their parents’ car insurance policies. As a result, they often carry more than the minimum car insurance limits required by Georgia law. So when people are seriously injured in a car accident caused by a teenager, often insurance is available to compensate them for the injuries and damages they have suffered. If you have been injured in a car wreck caused by a teenage driver, call The Wallace Law Firm, LLC. The insurance company has promised to pay if a car accident happens – we help our clients make sure the car insurance company follows through on what it promised. The parents of the teenage driver paid the insurance company money to make sure that, if the teenage driver hurt somebody, there was money available to compensate them. It is only fair to make sure the insurance company pays out on what it promised. According to the Georgia Department of Transportation, the top three reasons that drivers age 16-17 are involved in fatal crashes is because they lost control of their vehicles, were speeding, or due to failure to yield. Georgia has enacted some laws specifically aimed at helping young drivers drive more safely. Under O.C.G.A. 40-6-241.1, drivers under the age of 18 cannot use cell phones, for texting or for talking. The law does make exception for young drivers who are trying to report accidents or crimes. Have you been hurt in an accident caused by a teen driver? Call us at The Wallace Law Firm, LLC, (404) 814-0465.